Replay now available on slideshare for our February Book Club selection for Social Media Club Members, Think Like Zuck by Ekaterina Walter. Join the Social Media Club for our February Book Club Webinar on February 28th at 10 am PST (1pm EST) with Ekaterina Walter, the author of the Wall street Journal best seller, Think Like Zuck: The Five Business Secrets of Facebook’s Improbably Brilliant CEO. Hosted by @katmandelstein, Social Media Club International Board Member and past president of the Austin Chapter. Be sure to submit a question during the event in GoToMeeting or tweet it at us with #smcbooks for your chance to win a copy of the book for the best questions. 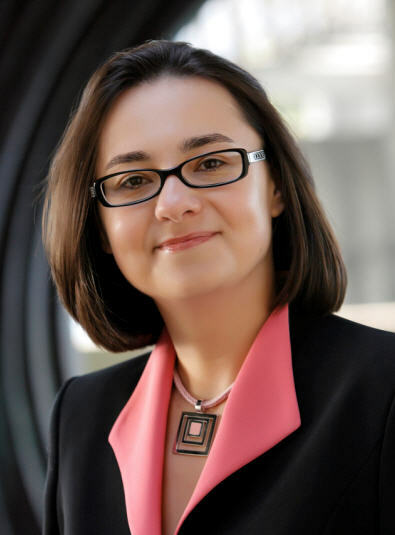 Ekaterina Walter (Twitter: @Ekaterina) is a Global Social Innovation Strategist at Intel. She is a passionate marketer and a recognized thought-leader in her field, a vibrant speaker, and a regular contributor to well-known industry publications such as Mashable, Fast Company, Huffington Post, TheNextWeb, American Express Open Forum and others. Ekaterina was also featured in multiple publications such as Forbes and BusinessReviewUSA and was named among 25 Women Who Rock Social Media in 2012. She is a proud TEDizen. She sits on a Board of Directors of Word of Mouth Marketing Association (WOMMA) and is an active member of the Thunderbird Global Council at Thunderbird School of Global Management. You don’t have to be an independent entrepreneur or have a title of a CEO or a business owner to be successful, to make a difference. If you are an innovator at heart and you want to make a true impact on your own or within an organization, Think Like Zuck is the book for you. The principles in the book are meant to help you learn from the extraordinary people in carving your own path to being an entrepreneur or intrapreneur, whichever you choose to be. In eight years of its existence, Facebook has fundamentally changed the way we communicate online. It is the world’s most expansive enabler of human interaction. One billion people, or one-seventh of the world population, is now on Facebook. No social network has ever commanded a greater global share of internet users, their time, or their shared media. Order your copy from the Social Media Club Bookstore on Amazon*. Be sure to follow the Social Media Book Club hashtag on Twitter to share your main takeaways or follow the conversation, #smcbooks. The Social Media Book Club features social media’s most innovative thought leaders, who have written books that help our global community learn, improve and share valuable knowledge. Professional members and chapter leaders are eligible to review the monthly titles and post their personal reviews on the Social Media Web site. If you are interested in being considered as a reviewer of future book club books and receiving a complimentary review copy, please email Kat [Kat at socialmediaclub dot org] for details. Thanks to our partnership with publishers like O’Reilly, McGraw-Hill, Wiley, Pearson and Que Publishing. As a Social Media Club Professional Membership benefit, we invite all members to be part of our Social Media Book Club as one of your membership benefits. Connect with other Social Media Club Members around the globe, discuss the book on Goodreads, read member reviews and interact directly with the authors in the webinar. We encourage local chapters to get together to discuss the books in person too! You can also check out presentations from some of our past SMC Book Club webinars on Slideshare.